Reverend Joseph Ratcliff, in the year 1883, with a small group of Baptist believers, saw the need for a Black Baptist Church in Monroe, North Carolina. The charter membership consisted of eighteen members, whose identities are not available. These members named the church Timmonsville Baptist Church, but it was recorded in the Union County Courthouse as the Colored Baptist Church. The wooden structure, which was erected on a plot of land two hundred feet south of our present structure, was purchased from Elizabeth Monroe for whom the church was named for one thousand, three hundred dollars ($1,300.00). This purchase was orchestrated by Mr. J. C. McVan, Administrator for the estate of C.N. Simpson. The following members, Reverend W. T. Gatewood, Deacon W.M. Nivens, Deacon J.Q. Robinson, Deacon Tom Robinson, Deacon W.C. Jones, Deacon Rueben Perry and others witnessed the purchase of additional land on which our present structure was erected. The pastors who have served the church are as follows: Reverend Sims, Reverend J.B. Ivey, Reverend Hicks, Reverend Hawkins, Reverend M.A. Murray, Reverend Staton, Reverend McLester, Reverend W.H. Inman, Reverend C.C. Johnson, Reverend Hawkins, Dr. J.H. Ferguson, Reverend David L. Massey, and Reverend Brenda Hopkins served as Interim Pastor; currently Reverend Osco E. Gardin, Jr. serves as Senior Pastor. Under the leadership of Reverend M. A. Murray the mortgage was paid off on the wooden structure. Reverend W. H. Inman rebuilt our present structure in 1928. This was accomplished by the financial assistance of the membership and dedicated friends. During the administration of Reverend C. C. Johnson, the carpet and organ was purchased for the church. Sunday School rooms and a new kitchen was added the basement of the church. Dr. J. H. Ferguson assumed leadership in 1965. Through the prayers and efforts of Dr. Ferguson and our faithful dedicated members, the indebtedness of the Elizabeth Baptist Church was paid in full. The following accomplishments have been attributed to his leadership: new parsonage, church renovation, organ purchased, renovation of old parsonage for a daycare, purchased land for parking, purchased a bus, built a ramp for aid to senior citizens, installed new windows, covered the church with a new roof, installed central air-conditioning, purchased a new van, New Fellowship Hall and the establishment of the Elizabeth Learning Center. Dr. Ferguson also established the Good Samaritan Club to aid the sick and shut-in, established the Department of Christian Education, organized a Youth Worship Service and Youth Ushers. God continued to bless Elizabeth Baptist Church by sending the Reverend David L. Massey. Reverend Massey did much to encourage us to keep the torch of faith aglow. Reverend Massey established the parsonage building as the official Administrative Office of the church, purchased computers and new office equipment and furniture, and established office hours for a permanent part-time church secretary. He organized the Men’s Fellowship Choir, church newsletter, reorganized the Ministry of Christian Education, and started a second daycare facility across the street from the church. 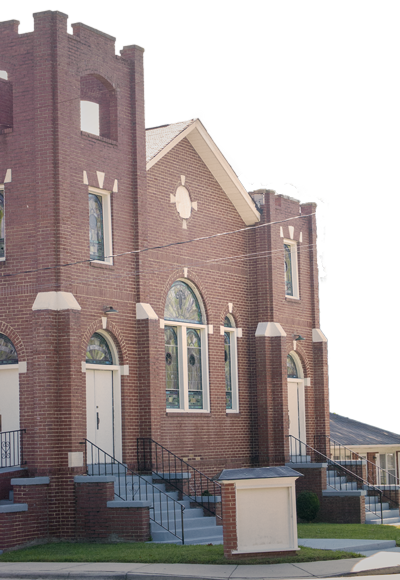 Other accomplishments attributed to Reverend Massey’s leadership included: the purchase of additional land for parking, paving both church parking lots, purchase of a new piano and securing a Hammond Organ. Interim Pastor Brenda Hopkins served for a little more than one year. During this period the Search Committee was organized. Prayers, baptisms, funerals, and membership growth continued under her brief but effective leadership. On December 3, 1995, God sent our present pastor, the Bishop Osco E. Gardin, Jr, to serve our church, just at the dawn of the twenty first century. Since Bishop Gardin’s inception, our church has continued to experience tremendous growth in every area of our church life. In 1996 our church was beautifully renovated, much of which by the very labors of his hands, along with the men of our church the renovation project saved our church over $150,000.00. Under Bishop Gardin’s leadership, our Missionary Ministry continues to experience the necessary support, to respond to the dire needs of local and worldwide mission. Bishop Gardin has taken international trips to Jamaica, and Malawi, Africa. In 2011 he became the Overseer over 52 Pastors and churches in Africa, which was followed with his elevation and ordination to the office of Bishop, in March of 2014. Under the direction and leadership of Bishop Gardin our Church and Day Care has had many upgrades. With a vision for the future of Elizabeth Missionary Baptist Church, Bishop Gardin was instrumental in gaining eight additional acres of land for our future church, 2 new fifteen passenger vans, a covered shelter for the vans, and two 47 passenger buses. In 2001, a pre-K program for 4 year olds in the Day Care came about as a result of the tireless efforts of Bishop Gardin and Friends of EMBC. This program has served as a pilot for the entire county. As a result of our continued growth, Bishop Gardin has launched a strategic “plan of action” to move the Elizabeth Missionary Baptist Church into a state of the art 21st century edifice to serve our membership and community for many years to come. To God be the glory!